The Rotary Satellite Club of James City County recently inducted Anna Glider and David DeBlass. Pictured are Neva Lynde, Carmelina Trifiletti, Glider, DeBlass, and Grayson Moore. Lynde is the Membership Chair, and Trifiletti and Moore sponsored the new members. 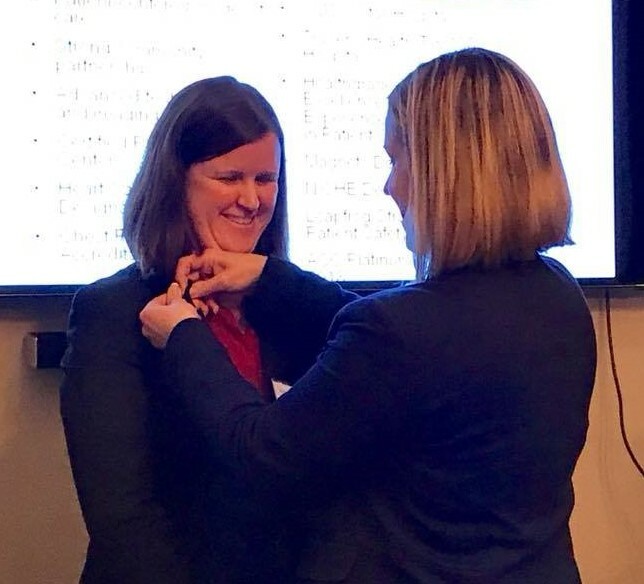 Elisabeth Reiss and Teresa Gray joined the Satellite Club on 13 March 2019, bringing Club membership to 14 Rotarians. Elisabeth leads the Military Outreach Program at Colonial Williamsburg. Teresa is a realtor at Long and Foster. The story behind the “Rotary Works to Create a Kinder World” editorial by Grayson Moore: Recently the Virginia Gazette, our bi-weekly newspaper in Williamsburg, encouraged readers to submit instances of “random acts of kindness”, to encourage others to display their own acts of kindness. 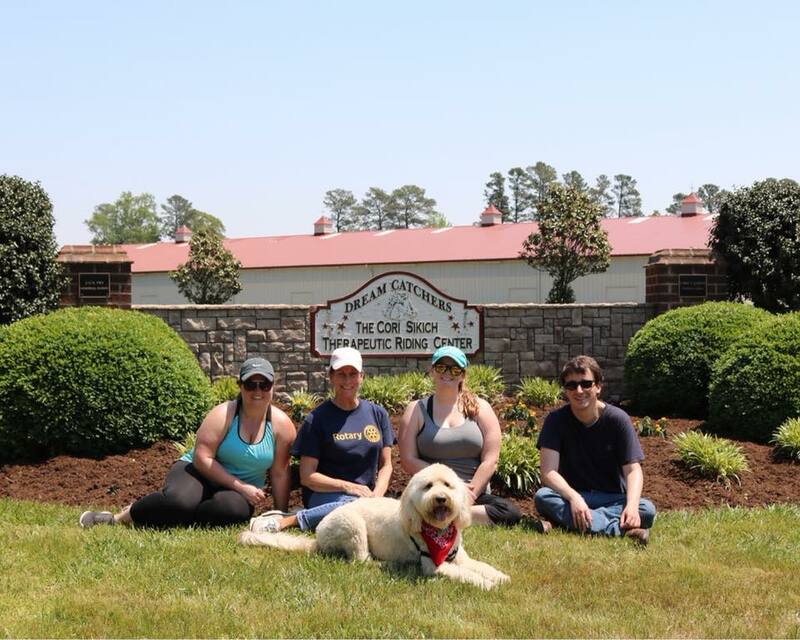 Even though the request was intended for individuals, the James City County Rotary Club Public Image (PI) Committee jumped at the opportunity to submit our Club’s very deliberate acts of kindness. Grayson Moore, Chair-elect of the Rotary Satellite Club and a PI Committee member, wrote the submission, and it was immediately published prominently in the Editorial section on January 5, 2019 (attached). The Gazette limited submissions to 100 words so Grayson chose his words carefully, sharing the “tip of the iceberg” of acts of kindness Rotarians do day in and day out, as well as Rotary goals. 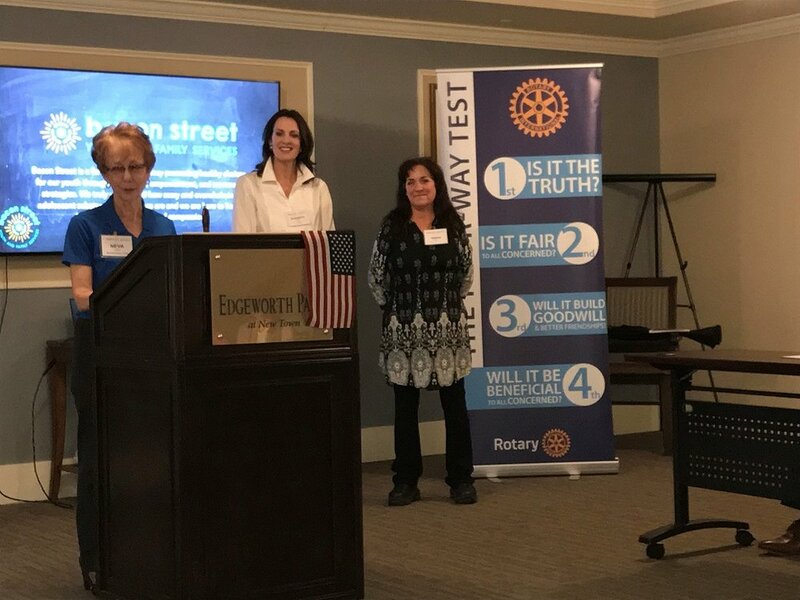 We are confident the article will help inform readers about Rotary, generate interest for prospective members, and encourage others to support our fund-raising efforts. October 2018 we celebrated the first anniversary of our Satellite Club. Satellite Club members help assemble aid packages at Grove Christian Outreach. Satellite Club members help out at Dreamcatchers, an equine therapy organization. Erin and Katie at the kickoff meeting.